Out of all my personal makeup, lipstick is possibly my favorite. It's just such a fun product to me. It's less about "faking" or changing the way you look but more about self-expression, color and fun. A natural lipstick can also be a nice way to hydrate lips and look more polished. 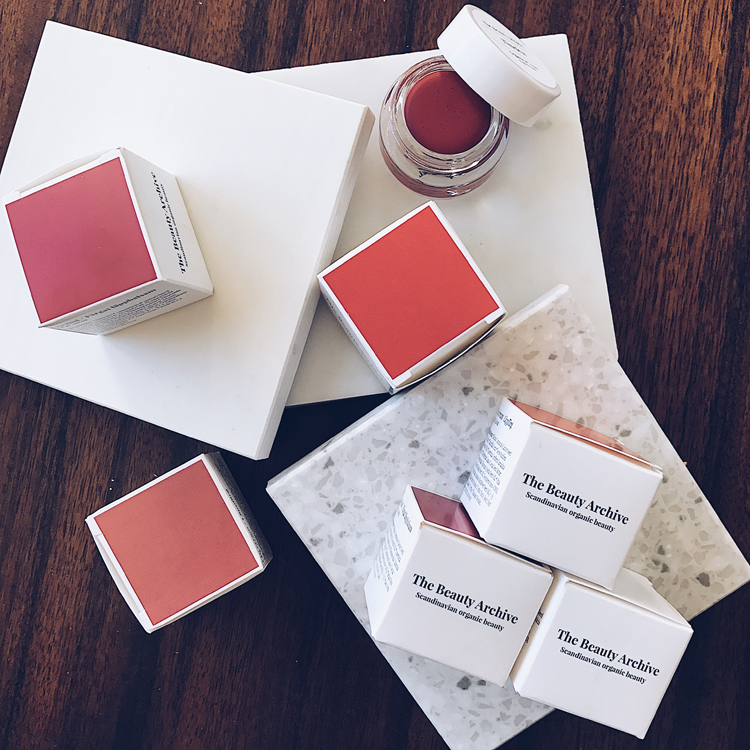 And while I found it fairly easy to find an abundance of cruelty-free & toxin-free lipsticks finding vegan ones is a whole new challenge, as most natural brands add beeswax. Not that there is anything toxic in beeswax, but as a vegan, I try to avoid all animal ingredients when possible. So while I do allow some sustainable cruelty-free products with beeswax in my kit I like to give an extra shout out to the brands that manage without! Here are my fave vegan lipsticks which are also non-toxic! They are all my fave for different reasons, the list in no particular order. Ere Perez just relaunched their line of Olive Oil Lipsticks and the colours, textures and pigments are spot-on! Highly recommended! Ere Perez also has a wonderful selection of sheer lip colours, perfect for every day. The Cacao Lip Colour! I always carry "Dash" in my handbag for a quick pop of colour. For a sheer colour they still deliver lots of pigment and some lasting power. The Beauty Archive! A selection of fabulous Scandinavian boutique lipsticks. Jane Iredale Lipgloss if you are looking for a classic luxury lipgloss that is vegan and toxin free look no further than Jane Iredale. Fra Lippo Lippie this is the hippest, brightest, funnest (I know this doesn't exist, but it fits the product!) lipstick. Super indie and SO pigmented. Read all about it here.